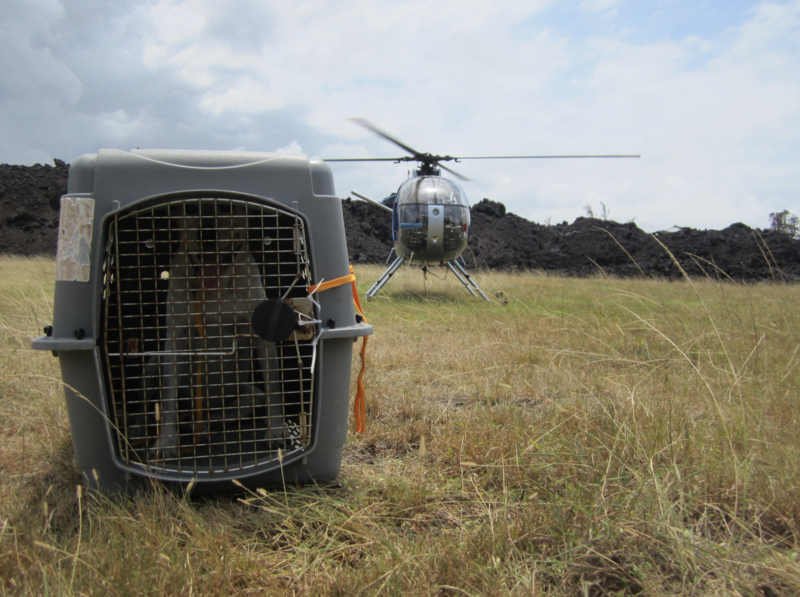 At the request of the Hawai‘i Island Humane Society (HIHS), the American Society for the Prevention of Cruelty to Animals (ASPCA) deployed its disaster response team to conduct assessments of areas impacted by the Kīlauea volcano eruptions, assist in managing the Disaster Pet Hotline for residents requesting assistance for their pets, and provide lifesaving field rescue for displaced animals. 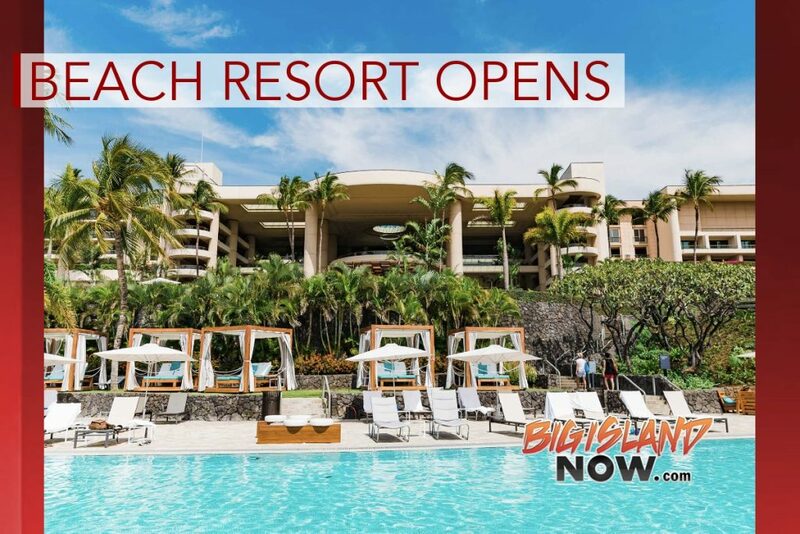 On Thursday, June 14, an animal search-and-rescue team led by HIHS and the ASPCA, removed more than a dozen animals, including birds, sheep, cats and a dog, out of the Kapoho Beach Lots Subdivision in lower Puna. 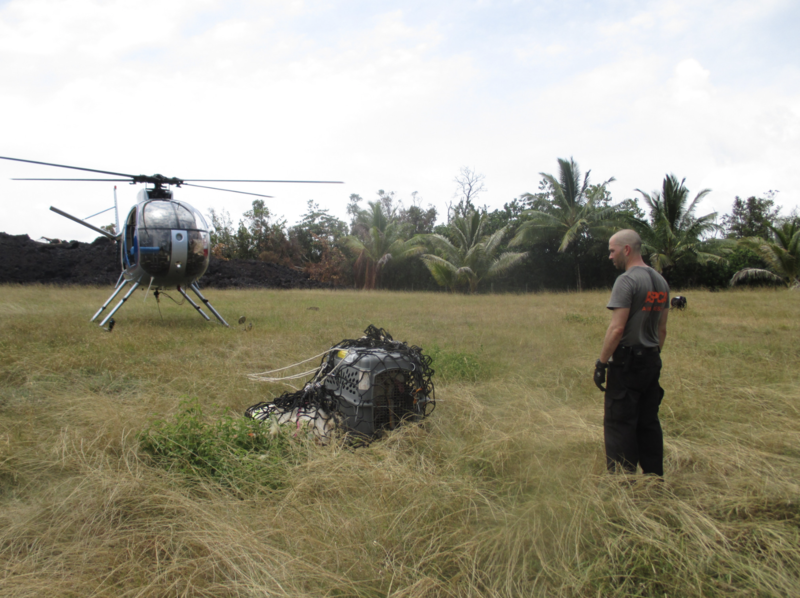 The animals, some airlifted by helicopter, were transported to the HIHS Kea‘au Shelter where they will receive care until they can be reunited with their families. Search-and-rescue efforts will continue through the weekend. 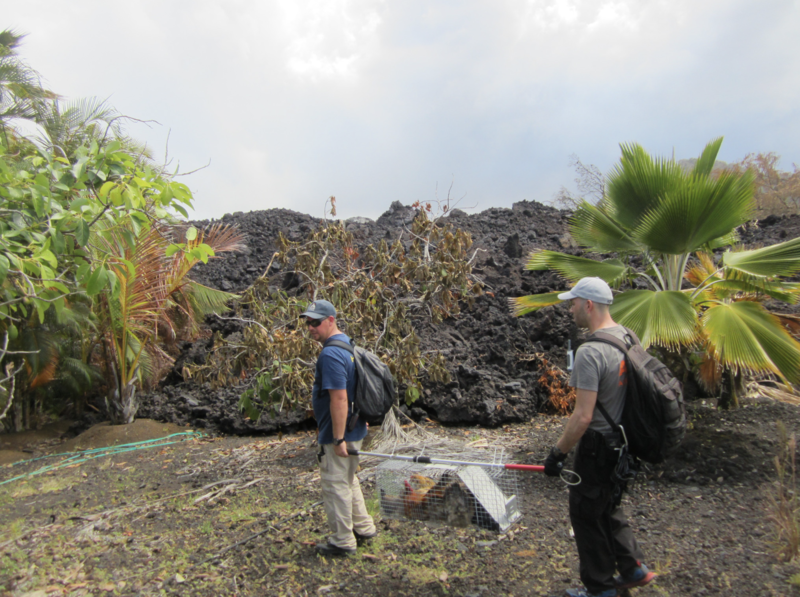 Animal search and rescue teams rescue animals in Kapoho. Courtesy photo. 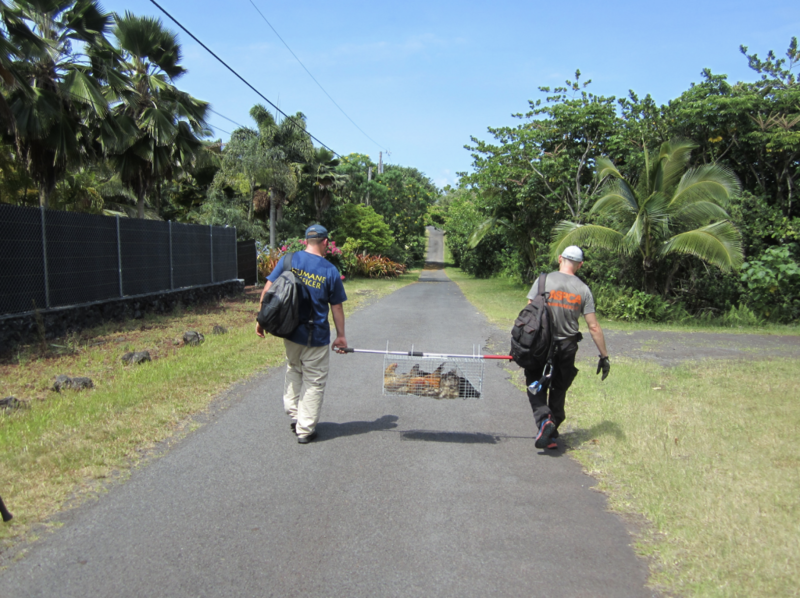 Animal search and rescue teams rescues animal in Kapoho. Courtesy photo. 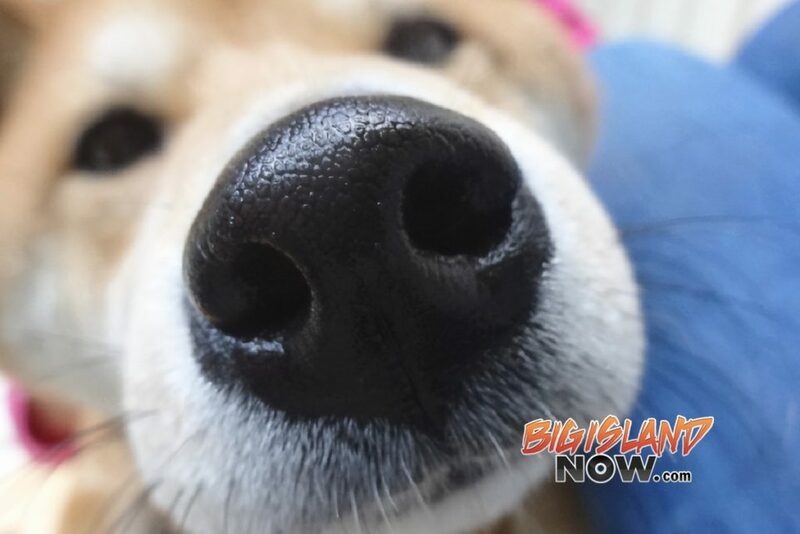 To submit a rescue request for an animal or pet, residents should call HIHS at (808) 498-9475. The animal and pet rescue hotline is able to receive calls from 7 a.m. to 7 p.m. The ASPCA Field Investigations and Response team deploys nationwide to assist in relocation, search-and-rescue, sheltering and placement of animals during disaster situations including wildfires, tornadoes and floods. In addition, they work closely with local agencies across the country to help enhance their animal response capabilities through grants and training opportunities. In 2017, the ASPCA assisted more than 37,000 animals displaced by disaster situations including Hurricanes Harvey, Irma and Maria and the wildfires in Northern California. 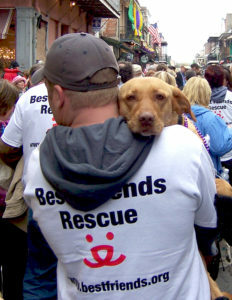 More information on the ASPCA’s disaster response efforts can be found at aspca.org/FIR.